Tuition refunds are made in varying amounts to students who officially withdraw from the University within specific dates from the official first day of class. Such refunds are computed as percentages of the tuition that the student has been assessed at the time of his or her registration. Student refunds are normally processed and a check sent by mail to the students address on their account. Charges added to the student’s account after a refund has been processed will become the student’s responsibility. Only student accounts which are in a “refund status” will receive a student refund check. A “refund status” results when posted funds are in excess of your charges, tuition, fees, books, etc., creating a credit balance. Pending aid is not posted aid. If you have accepted your loan(s) and have returned your award letter to the financial aid office then you will receive a disclosure statement by mail or email informing you of when your funds will be disbursed to HSSU. 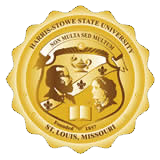 Once your student account has been reviewed, all your paperwork completed and it is verified by the financial aid office that you are enrolled in sufficient class hours to receive the financial aid; your funds will be requested from the Department of Education to be disbursed to HSSU 30 days after the start of the semester. When your financial aid funds are received by HSSU from the Department of Education, we have 14 days to review your account and to adjust aid as needed depending on the hours you are currently enrolled. After your financial aid funds have paid your student account charges in full, if you then have a credit balance on your account, you are now eligible for a refund. As student accounts go into credit balance, the Office of the Bursar processes refunds to students via check and direct deposit. Students should select their refund choice through MyHSSU. Students will be notified by student email when direct deposit transfers have been initiated. Please allow up to 5 business days from the day that your refund is processed to receive your refund in your bank account. Students that have elected to receive a check will be notified by student email when it is available for pickup in the Office of the Bursar. NOTE: Your agreement to allow your federal financial aid to be applied toward all charges on your student account is important as this may impact the processing of your refund. Your refund may not be picked up or deposited into your bank account if your student account reflects a balance due after your refund has been processed. This applies if you have a balance due in the current term because you have not agreed to allow your aid to pay all charges or if you have a balance due in a term from the prior financial aid year. If refund checks are not picked up, the student will be notified a second time via student email before the check is mailed to the mailing address we have on file. If for ANY REASON the hours you are enrolled in are adjusted up or down, then your financial aid MAY be adjusted accordingly and you may owe money to HSSU and/or the Department of Education. Before dropping any classes it is HIGHLY recommended that you see a financial aid counselor.